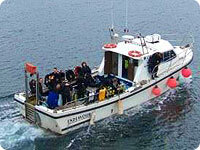 Our website is dedicated to providing a central resource of useful UK & Eire dive planning information, from Air Stations to fill your dive cylinders and Boat Charters to dive from through to Books and Websites with more details on the location you wish to dive - on the right hand side of the page details of geographically related books will appear when you select an area of the country. If there are any other categories that you think should be added then get in contact - that is how dive clubs and chandlers got added! 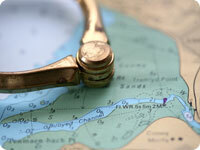 You can browse our listings By Location with results shown on maps or as text listings. Alternatively head straight to our A-Z Listing if you already know the name of the organisation. Visit our Books & Sites page for books and links to other web sites for the locations you wish to dive. We have also provided a drop-down menu of Quick Links including our National Recompression Chamber Map and other useful dive planning sites. Air stations are split so that you can select air only (listed as air station), air and nitrox (listed as air and nitrox stations) and trimix, nitrox and air (listed as air, nitrox and trimix stations). Hopefully this will make chasing down the gas you are after easier - they are all yellow flags on the maps - so, for example, if you are after nitrox just deselect the air stations on the selection panel on hit the update button. Coastguard stations are now listed individually including the area that they cover and for those using VHF-DSC radios they each have their MMSI number listed so that you can get in contact easily. The latest development has been the club listing - if your club want to be listed then drop us a line and we will add you in - if necessary we will come back to you asking for various details about the club so that the listing is helpful to prospective members and allows them to know where and when you meet, which agency you are affiliated to and contact details. We have added all of the clubs that we have sufficient details such that it is helpful to prospective members. There is no charge for a listing on the site - this applies to ALL organisations. 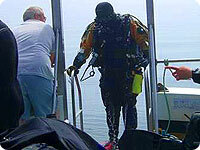 We are not a business nor do we personally make any money from this site, any earnings from the Google adverts and Amazon book links are contributed in full to our local diving club where it is used to purchase and maintain training equipment and generally help to fund the running of the club. 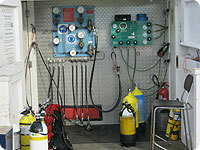 We hope you find this site useful and will visit us whenever you are planning a dive trip. If you notice any organisations or services not listed which should be, please follow the instructions in the Add Missing Entry panel on the right of most pages. If there are organisations that need to be removed because they have, say, ceased trading or if the contact details are wrong please let us know - we want to maintain the site with current information as best we can. As always when planning - it is best to get in contact with an organisation you want to use to make sure that they will be there - if they aren't there anymore please contact us so that we can update the directory. Happy dive planning and enjoy your dive trip! If you have any events that you want to have listed here please contact the administrator.